As a missionary and a pastor, I juggle many different responsibilities. My tasks can change from day to day, especially when there is a special event or service planned. 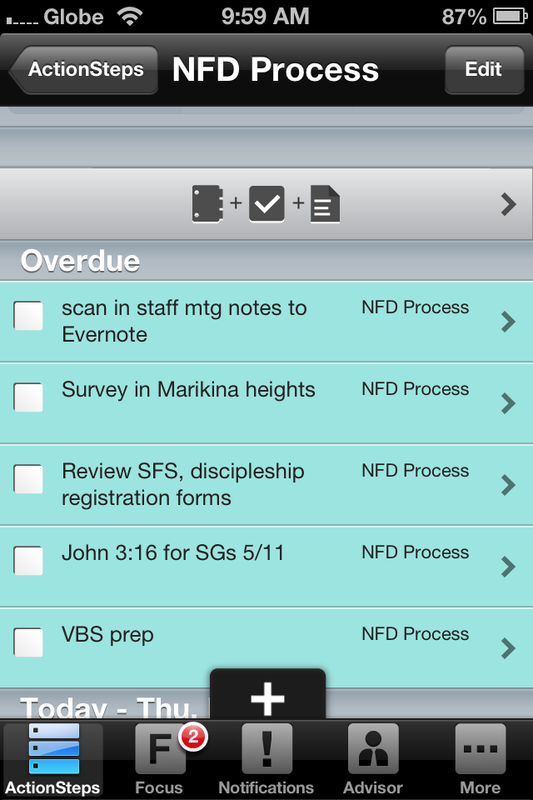 But normally, 9 out of 10 times, these tasks fall into a certain category of ministry. Keeping all of these categories straight in my head proved to be impossible. Knowing what to prioritize or how much work was left on a specific project was as hard, or harder, than the work itself. Thankfully I found a solution. 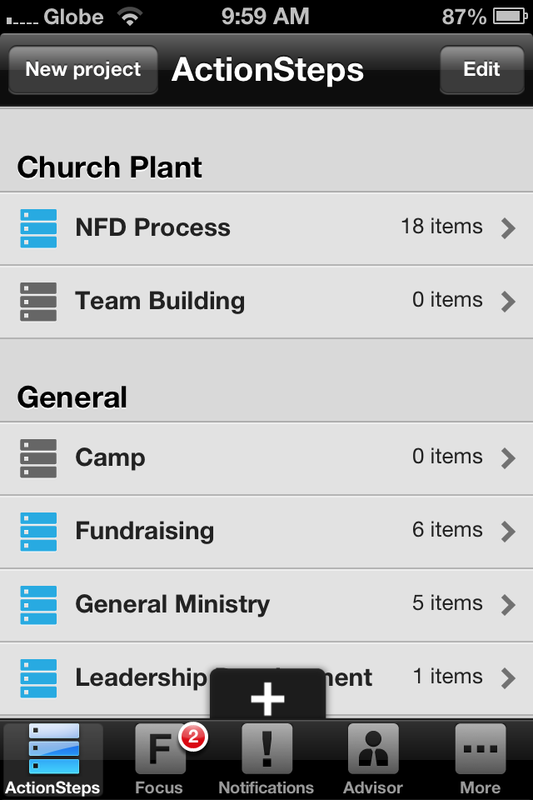 For the last year I have been using Action Method by Behance to keep my ministry life organized and in sync. A big stress in ministry is realizing (or being told) that you need to finish a certain task, but having no good way to record that “to do” for later. So you end up emailing yourself, making a note on your phone, or (cringe) writing a reminder on a scrap of paper. No more. Enter Action Method. I’m in a meeting for our church plant, and the discussion ends with the realization that I need to produce a new document for internal staff use. I don’t have time to produce it now, but it needs to be completed and emailed to the staff by next Wednesday . I create an action item in Action Method: “create and email new meeting format guide to staff”. I categorize it as “church plant admin”. Then, next Wednesday morning when I am creating my to do list for the day, I open Action Method and see this task. It’s also color coded, so I immediately know at a glance it’s a church plant item that deserves my full attention. When I’ve completed it, I click the check button and it disappears. Ah, satisfaction. I use Action Method to tell me what I need to do and when I need to do it. It is my guide for accomplishing my goals – both daily and long range. Without it, I would be less effective, unorganized, and frankly a little frazzled. What do you use to stay organized? Comment and describe your “to do” process below.